A three-day Smart City Summit Raipur will be organised in Chhattisgarh’s capital city from Wednesday onwards. Being held at VW Canyon hotel by the Raipur Municipal Corporation, Raipur Smart City Limited in association with Elets Technomedia Private Limited, the Summit will be inaugurated by Chhattisgarh’s Minister for Urban Development, Commercial Taxes and Commerce and Industry Amar Agrawal along with Minister for Agriculture Brijmohan Agrawal and PWD Minister Rajesh Munat. On this occasion, the Chief Minister Dr Raman Singh will participate in a roundtable conference with key policymakers and industry decision-makers. He is also scheduled to launch a special issue of Elets’ egov magazine, Asia’s first monthly magazine on e-governance. 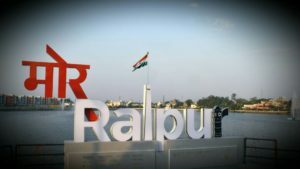 The Smart City Summit Raipur event will be participated by various policy makers, stakeholders, experts and industry giants who will brainstorm over various needs, challenges, methodologies and vision related to the ongoing transformation of Raipur from May 24-27 in various segments of discussions under Smart City Mission. Policymakers from across the India and industry giants will come together to discuss key areas related to Smart Cities. Discussions will be held on a number of significant subjects related to Smart City programmes like IT and e-governance for Smart Cities, Smart Mobility and Transportation, Solid waste and Water Management and Financing prospects for Smart Cities. With Raipur Municipal Corporation completing 150 years of its existence, a special envelope and Coffee Table Book on this occasion will also be launched to highlight the development journey of the city over the decades. Raipur has been declared as a Smart City under the Smart Cities Mission. The summit will also hold a Mayors’ session in which Mayors of various Smart Cities will participate in a panel discussion. Mayor of Bilaspur Municipal Corporation, Kishore Rai, Mayor of Chandigarh administration, Asha Kumari Jaswal, Mayor of Kalyan Dombivli Municipal Corporation, Rajendra Devlekar, Mayor of Solapur, Shobha Banshetti and Mayor of Karimnagar Municipal Corporation, Sardar Ravinder Singh, among others will be a participating. Elets Technomedia Pvt Ltd. is a technology and media research company that focuses on ICT initiatives in Governance, Education, Health and Banking & Finance. Elets has, over the years, brought together various thought leaders, industry, academia and the key policy makers together on one platform, facilitating dialogues and connecting ideas that can transform the nation through its national and international conferences. Union Minister for Urban Development, Housing and Urban Poverty Alleviation M Venkaiah Naidu is also scheduled to participate at the valedictory session of the Summit.